Born 1962 in Saarlouis, now living in Homburg/Saar. 1982 - 1987 studies in Communication Design at the University of Applied Sciences Wiesbaden, where she learned all the basic artistic techniques like drawing, painting, typography, calligraphy, photography, printing techniques, etc. 1987 earned diploma (equivalent to Master of Arts) under Prof. Werner Schneider. Additional studies in lettering and calligraphy, also in Japanese, Chinese, Korean, and Turkish calligraphy. - University of Cooperative Education Ravensburg (2003 to present). 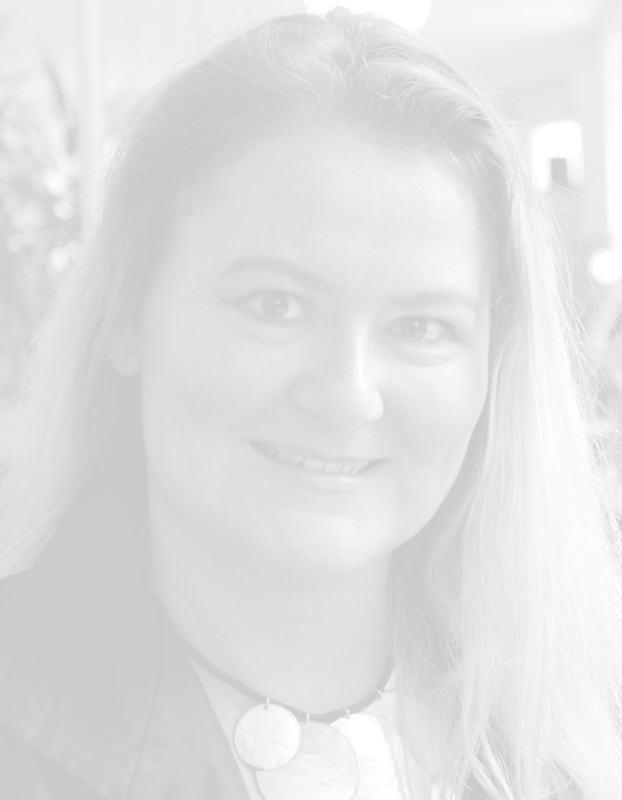 Since 1991 Katharina has been regularly invited to give workshops and courses in Germany, France, Belgium, the Netherlands, Iceland, Switzerland, and Italy. She is one of the few German Calligraphers who has also tought in the United States, England, South Africa, Finland, Korea and most recently in India. Katharina Pieper has been teaching since 1991 at the Werkstatt für Buch und Gestaltung Limbacher Mühle and since 1998 at the Free Art School Artefix in Homburg. In her own artistic work Katharina Pieper is dedicating to spiritual texts of authors from West and East which she brings on paper, into artist books and on canvas of larger sizes. 1998 she received the International Award of Calligraphy of Westerlo/Belgien, and since 2000 she has been a jury member of this Award. Since 1987 Katharina she has published her calligraphic work worldwide in exhibitions, not only in her own country but also in Belgium, the Netherlands, France, England, Switzerland, Italy, United States of America, Iceland, Australia, South Africa, Finland, Poland, Lithuania and most recently in Russia, India and Korea. In 1991 her book Schrift Schreiben was published, and since 1989 she is writing for different technical publications and journals in Germany, England, Belgium, Austria, America and Switzerland. 1996 Katharina founded her own edition to publish her calendars, books and cards. 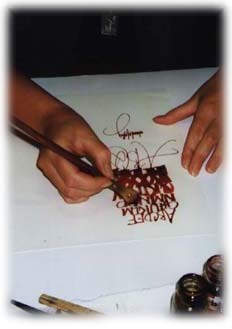 Katharina is very active in a number of International calligraphy organizations. From 1997-2003 she was president of the International Society for Literature and Calligraphy – ARS SCRIBENDI, and responsible for editing and design of the Society journal Ars Scribendi. - Scriptores, Netherlands and Belgium.